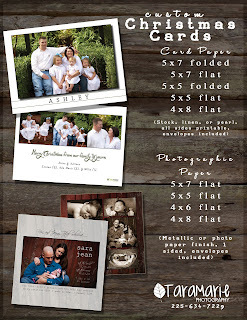 Did you know that we can design custom Christmas cards for you? Or, custom invitations? Some customers who have done the custom Christmas cards from us have had feedback from their friends & family who received the cards, saying that, "Yours was the best Christmas card of the year!" What a compliment! If you'd like us to turn your pictures into some custom Christmas cards or custom graduation invitations for you (or any other sort of card you can come up with), just shoot me an email or give me a call and either myself or Callie will design something just for you. 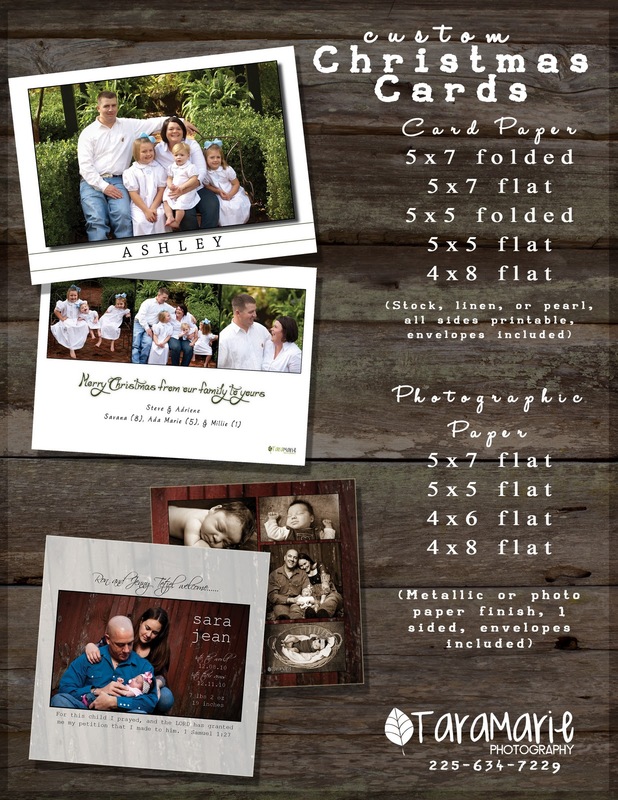 Here's a little brochure with the sizes we offer.